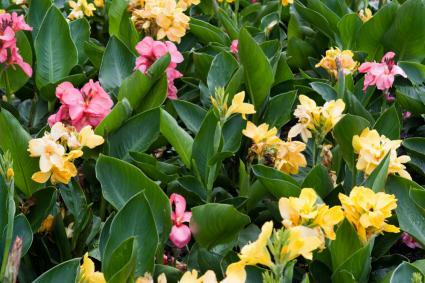 If an area of the landscape is perpetually moist and nothing that you plant there seems to grow, there are several options to create a healthier, happier plantscape. The solution depends on a number of extenuating factors, but three common ways to resolve the problem can help in many circumstances. The simplest approach to a drainage problem is to make use of plants that thrive in moist, wetland environments. In this case, there is nothing more needed than to remove the plants that are performing poorly and replace them with species that are better adapted. Reeds, rushes and sedges resemble ornamental grasses and range in size from the tiny fiber optic grass to giant bulrush, which grows six to eight feet tall. All of these thrive in boggy soil and are good choice when a large area needs to be covered. A surprising number of flowering species also grow well in swampy ground. One is called swamp hibiscus, which grows on a single stalk up to six feet tall, erupting with crimson-colored flowers in late summer. Canna lilies are another colorful choice, coming in a range of red, yellow and orange tones. Use these species in full sun areas only. Bald cypress is a stately conifer that is native to the wetlands of the Southeast and makes striking specimen in the home landscape. It is unusual for a conifer in that it looses its leaves in the winter - hence the name bald cypress. Willows, birches and alders are other tree species that love wet ground. Plant them if you have a wet spot that is calling for a large focal point. 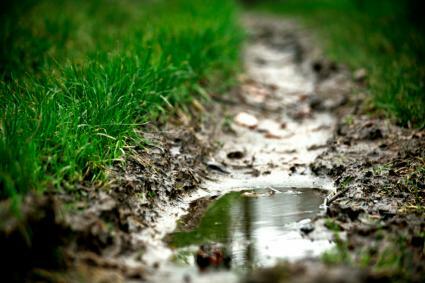 Another approach to solving a drainage problem is to simply elevate the level of the soil so water will drain away. This isn't always feasible - you wouldn't want to pile soil around the foundation of the house or any wooden structure, for example - but if it is, it's a convenient way to solve the drainage problem and create a rich planting bed in the process. There are two general approaches. Dig a broad, shallow basin (kind of like a moat) around the perimeter of the area that has the drainage problem and pile all the soil excavated from the basin in the middle. Spread the excavated soil into a low, broad mound that tapers down smoothly and gently into the basin. The difference in elevation between the peak of the mound and the bottom of the trench should be at least eight or 10 inches. Mix compost into the loose soil to prepare it for planting. Measure the approximate length and width of the area where you are trying to improve the drainage and multiply these figures to find the approximate number of square feet. You will need between .5 and one cubic foot of soil per square foot to build up a mound of sufficient height. 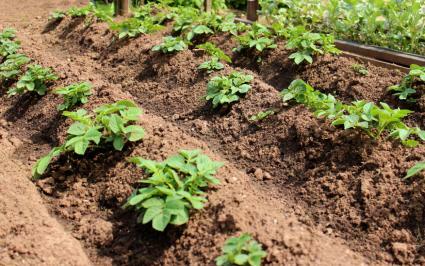 Find a source of good quality topsoil. 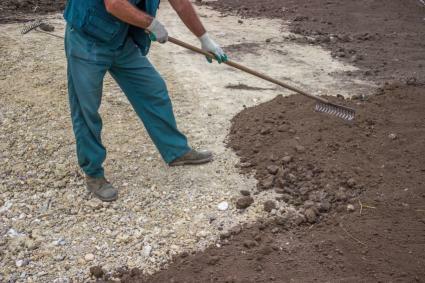 It could be taken from another part of the yard where you need to excavate soil for another purpose or it can be purchased from a landscape supplier. Spread the topsoil evenly over the area with poor drainage, forming a low broad mound, as described above. If you don't want to change the grade of your property and would like the option to grow more than just water-loving species, it is necessary to install a drain. There are two basic components - a box with a drain grate on top that collects water from the surface and a perforated pipe that absorbs groundwater and carries it a way. The one prerequisite for this method is that the drain needs to have an outlet somewhere and there must be a continual downhill slope between the area with the drainage problem and the point where the water is released. 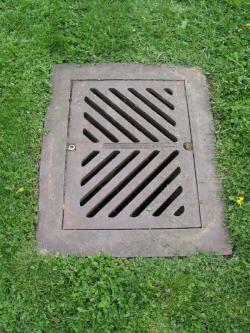 Depending on the layout of the property, the drain outlet could be in an existing ditch or at the edge of the street or driveway. Mark the lowest point in the area with poor drainage. Dig a trench 12 inches deep and eight to 10 inches wide starting at this point and continuing downhill to a point where the drain can outlet can come to the surface without losing the downhill flow. 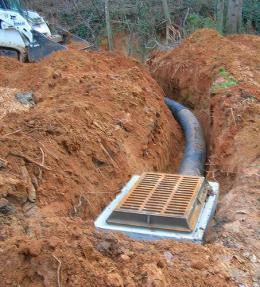 Expand the beginning of the trench to accommodate a drain box, which are typically 12 inches tall, wide, and deep. Line the entire trench with drain cloth and lay four-inch corrugated drain pipe inside the fabric along the entire length of the trench. Snap the drain pipe into the side outlet of the drain box and situate the box in the hole at the top of the trench so the surface of the drain grate is even with the level of the surrounding soil. Cover the drain pipe with gravel up to about four inches below the surface of the soil. Wrap the drain fabric over the top of the gravel and trim off any excess fabric with a pair of scissors. Spread soil over the top of the fabric to fill the remainder of the trench until it is flush with the original grade. Installing a subsurface drain can be a complicated project that may be best left to a professional. However, there are some guidelines to help make sense out of the most common challenges that arise. Before doing any digging, call 811 to have the underground utilities marked. Avoid routing the drain pipe where it will cross a buried water, sewer, gas, or cable line. To make it easier to find the lowest point in a poorly drained area of the yard, go outside after a heavy rain to see where the water puddles. If there is not a direct route downhill for the drain pipe, it is still possible to use this method, but the trench will have to be deeper. As long as the bottom of the trench flows continuously downhill it will work - even if the surface of the ground goes up and down a bit. Use a four-foot carpenter's level to ensure that the trench flows downhill. Only a very slight drop, as little as 1/4-inch per foot, is needed. Perforated drain pipe surrounded by gravel and drain fabric is only necessary where the pipe goes through the wet area. 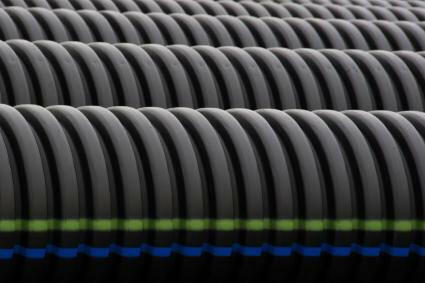 If the pipe needs to pass through areas that are not poorly drained on its way to reach an appropriate outlet, cut the perforated pipe and connect a piece of solid corrugated pipe to it for the remainder of the length. Good drainage is essential for the health of most plants. Unless you're creating a bog garden, you need to provide some way for water to drain away from the planting area if it doesn't do so on its own as a result of soil with a high clay content or improper grading. Fixing a drainage problem can be a major undertaking, but it lays the groundwork for a healthy and abundant landscape.